Barça Lassa have beaten Liberbank Ciudad Encantada 30-27 to claim their eighth consecutive Liga Asobal title (and the 25th in total) with six games in hand. It all forms part of a stunning and continuing legacy under Xavi Pascual, with an unbeaten streak that now runs to an unprecedented 147 games in a row. 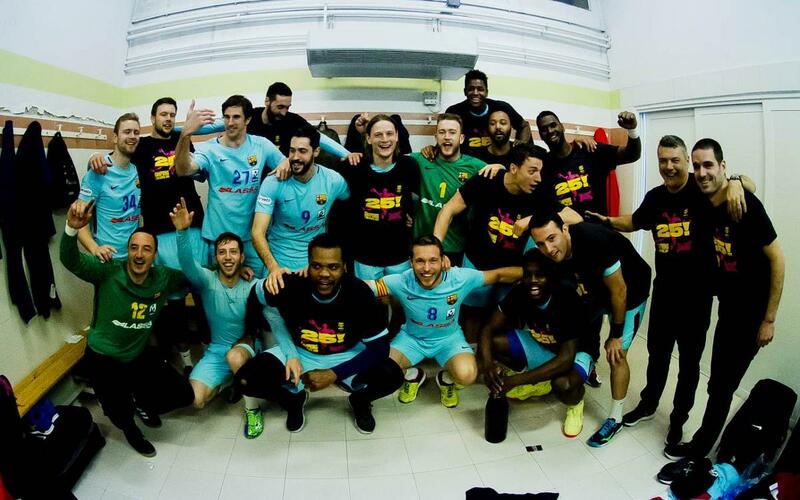 Four players, Víctor Tomàs, Raúl Entrerríos and Cedric Sorhaindo, have been involved in all eight of those league title quests, while for Aitor Ariño this is now the tenth time that he has lifted the trophy in a Barça shirt. But although the domestic title in safely in the bag, Barça have a 3-goal deficit against Montpellier to turn around this coming Saturday if they want to keep their Champions League dream alive, and there’s also the finals of the Copa del Rey in Madrid to look forward to from May 4 to 6. As for the game, it was never a certainty that things were going to go Barça’s way. Aleix Gómez, Aron Palmarsson and Valero Rivera led the scoring with four goals each but the Catalans were never comfortable and only led by two at the break (14-16). And with an inspired Dutra (12 goals), the home side came out strong in the second half and edged their way into the lead, and from there on goals were exchanged at either end with neither side collecting any significant advantage. But with Pérez de Vargas leading some top notch defending in the final minutes, Barça managed to pull three points away with five minutes to play, and managed to maintain that lead until the end.